Graphic changes are effortless and assembly is ultra simple. Dramatic, stylish,m elegant two sided curved design. 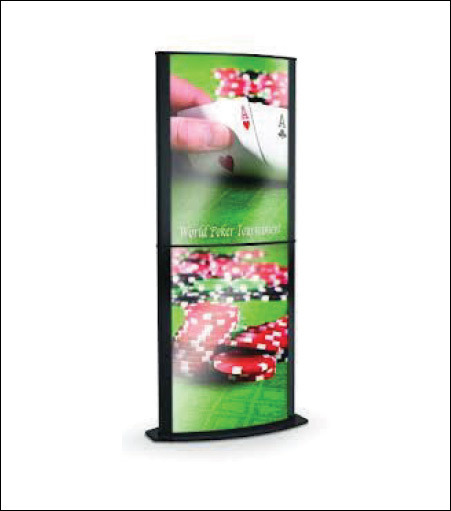 Perfect for exhibits, retail, restaurants, trade shows and malls. Accepts semi-rigid or rigid self supporting medias. Styrene is ideal. Change out graphics instantly without disassembling them!